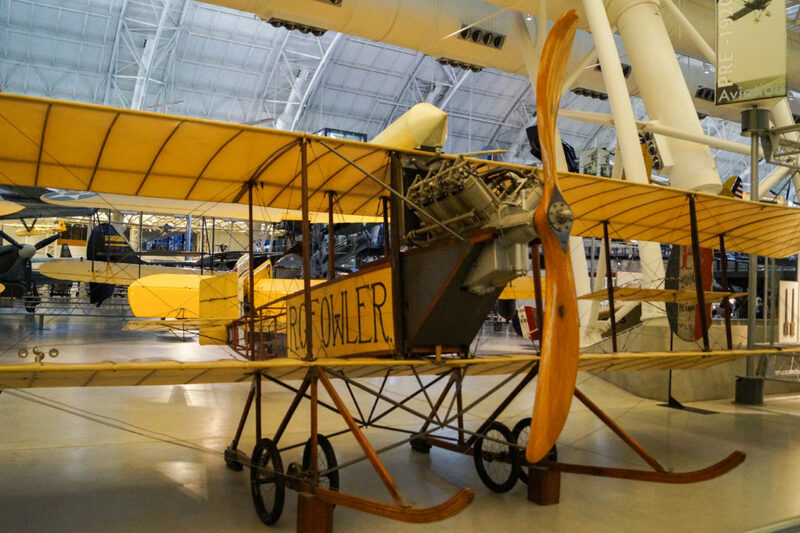 Many who travel to Washington, D.C. are familiar with the Smithsonian National Air and Space Museum on the National Mall. 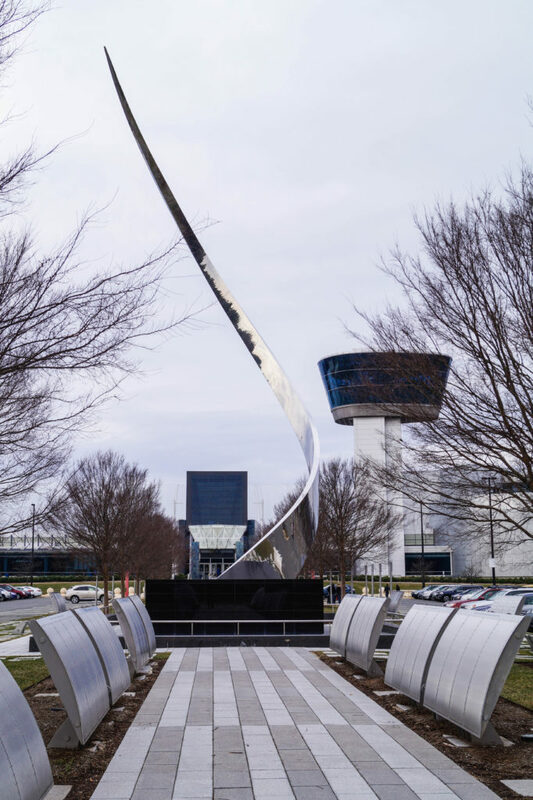 A bit further out is the larger companion facility, the Steven F. Udvar-Hazy Center, in Chantilly, Virginia- 30 miles west of DC near the Washington Dulles International Airport. It is a particular favorite for us during the colder months since the entire museum is indoors and there is so much to see. 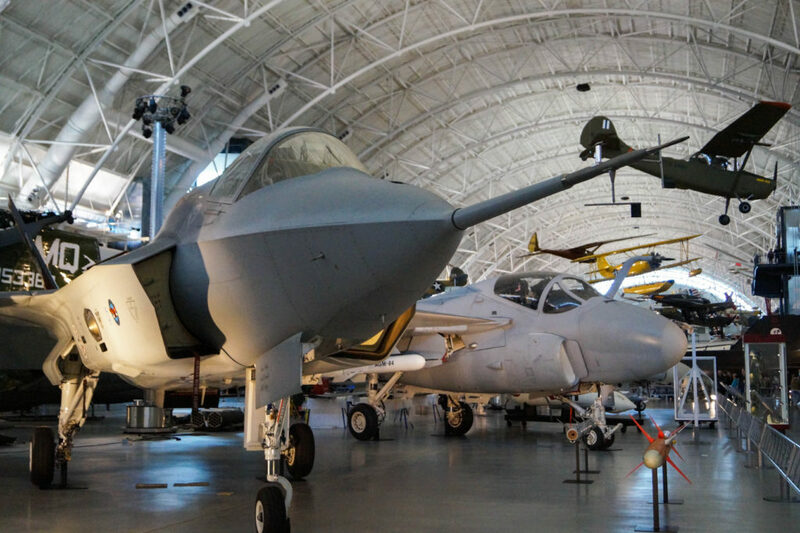 The Steven F. Udvar-Hazy Center opened in 2003 and houses thousands of aircraft-related artifacts in two large hangars- the Boeing Aviation Hangar and the James S. McDonnell Space Hangar. 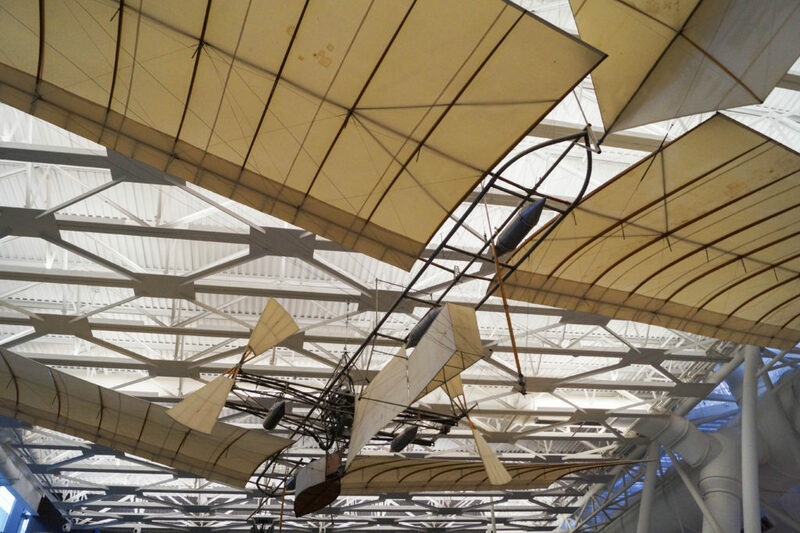 It was named after Steven F. Udvar-Házy, a Hungarian immigrate and co-founder of the International Lease Finance Corporation who gifted 65 million dollars to the Smithsonian Institution. It is open daily (except Christmas) from 10:00 am to 5:30 pm. Admission is free, but parking costs 15 dollars per automobile before 4 pm. Plan on spending 2-4 hours here. 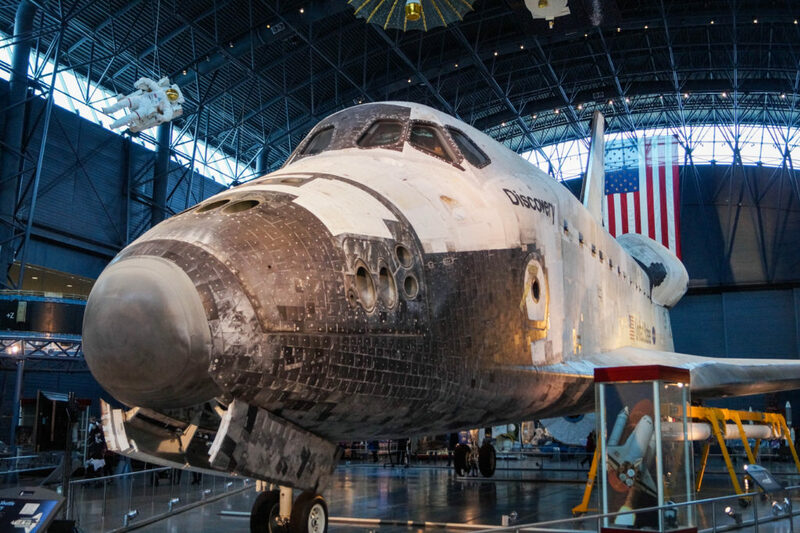 For others who have family members with ASD and sensory processing disorders, these Pre-Visit Stories and tips for visiting a Smithsonian museum have been especially helpful with Evan. 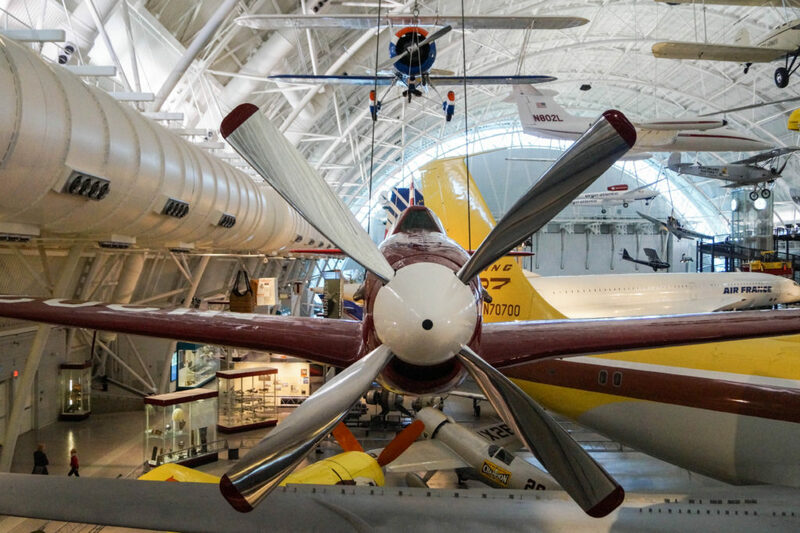 This museum doesn’t have as many hands-on kid centered sections as some of the other museums in the DC area, but there are still plenty of activities and exhibits to hold their attention. 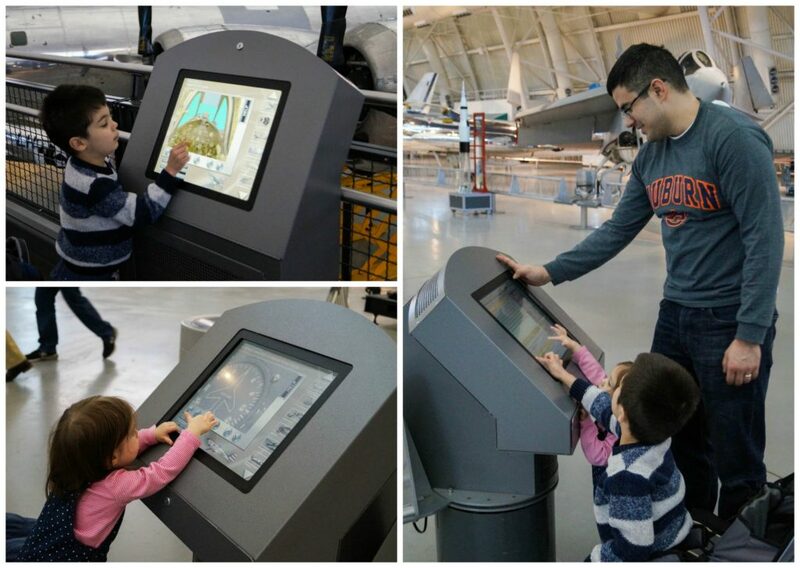 Evan and Claire were especially big fans of the interactive screens to help explain some of the collections. There are also discovery stations, simulators (tickets required), science demonstrations (daily schedules are posted outside the gallery entrance), and an IMAX theater (tickets required). Free guided tours are available at 10:30 and 1:00 daily. They are led by volunteers (many are former NASA employees, pilots, and historians) and last 90 minutes. This museum is much more spread out compared to its DC counterpart, so we generally don’t feel as cramped and have no problem navigating with a stroller. Ramps and elevators are also available. Whenever we go, lines for the restrooms seem to be a lot shorter or nonexistent compared to DC as well. There is also a family/companion bathroom on the main floor near the lockers. 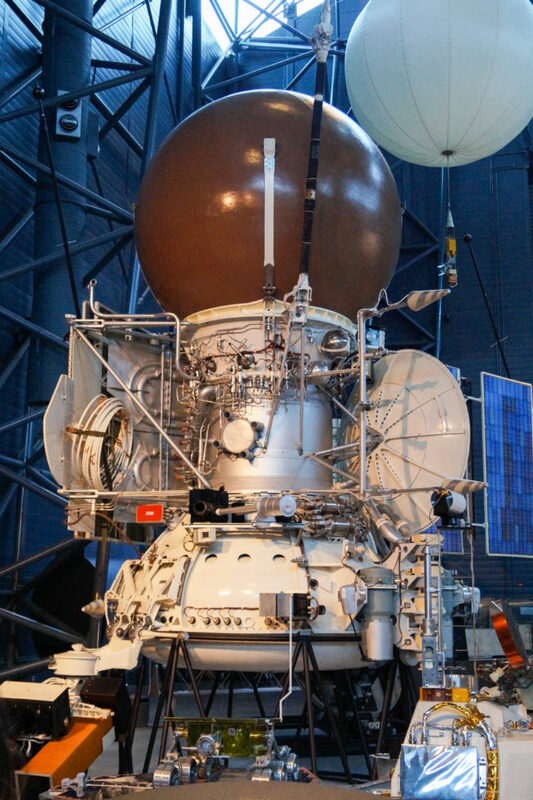 There is so much to see for those interested in air and spacecraft. 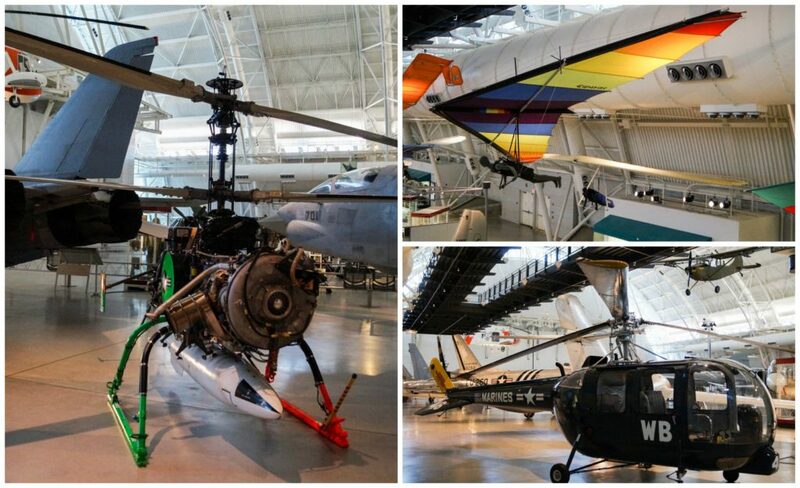 Current exhibits (2017) include Aerobatic Flight, Application Satellites, Business Aviation, Clouds in a Bag (The Evelyn Way Kendall Ballooning and Early Aviation Collection), Cold War Aviation, Commercial Aviation, General Aviation, Human Spacecraft, Interwar Military Aviation, Korea and Vietnam Aviation, Modern Military Aviation, Pre-1920 Aviation, Rockets and Missiles, Space Science, Sport Aviation, Transformers: More than Meets the Eye!, Ultralight Aircraft, Vertical Flight, World War II Aviation, World War II German Aviation, and more. 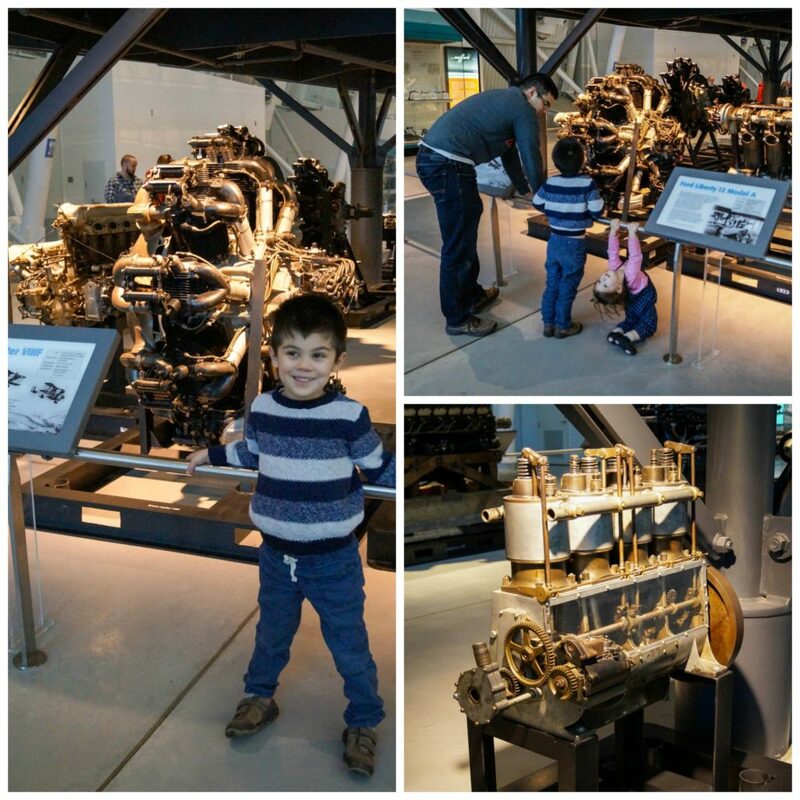 Evan’s favorite part was getting to see the engines up close. He has always been particularly fascinated by gears and fans. 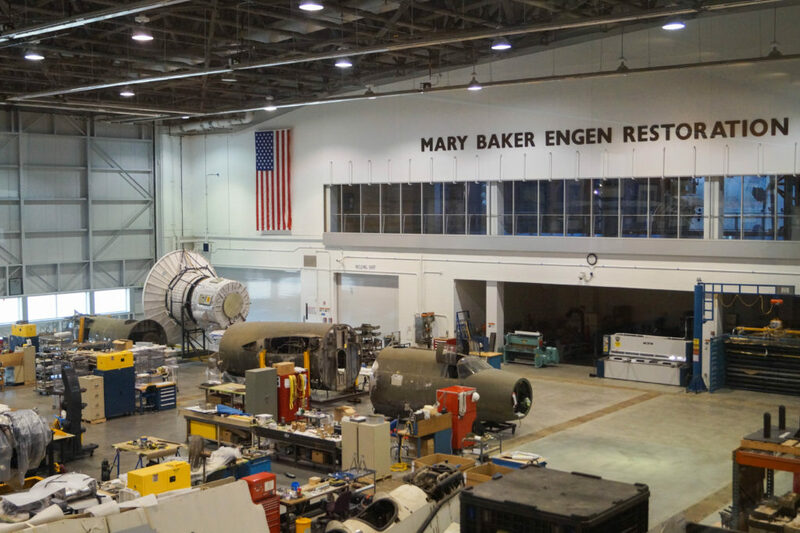 Through glass windows, you can get a behind-the-scenes look at the restoration and preservation of aircraft in the Mary Baker Engen Restoration Hangar. The James McDonnell Space Hangar draws the most crowds. 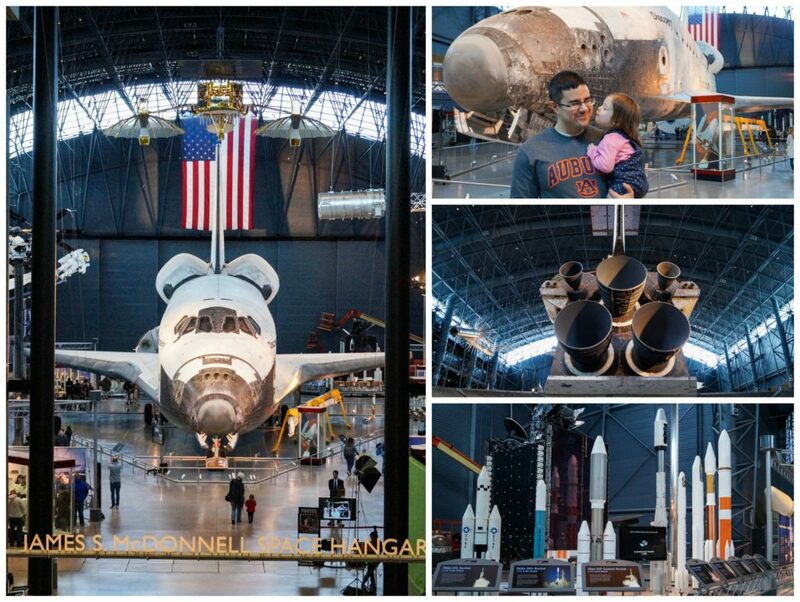 Here you will find the space shuttle Discovery, satellites, missiles, and other space-related items. For those who want group photos, there is a section set up to the right of the entrance of the hangar. The Discovery has had a home in the hangar since April 19, 2012. It was the third operational orbiter to go into space, flying on 39 missions over 27 years- more than any other spacecraft. 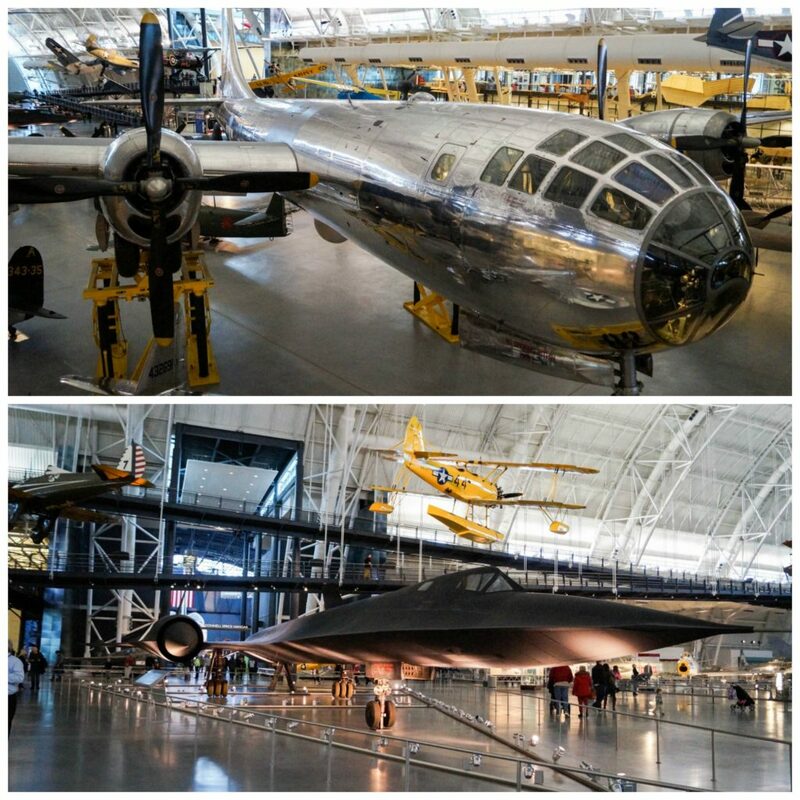 The center also houses the Enola Gay, Boeing B-29 Superfortress, (dropped the first atomic bomb on Hiroshima) and a Lockheed Martin SR-71 Blackbird (world’s fastest jet propelled aircraft at 2,124 miles miles per hour). 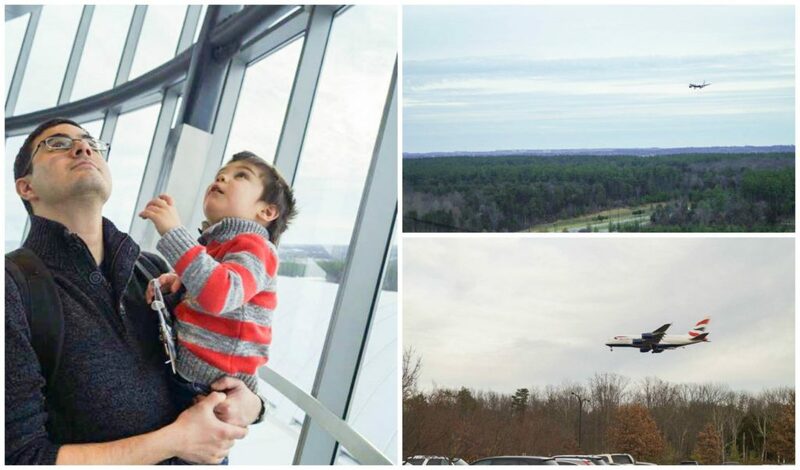 We didn’t go up on our latest visit, but a couple of years ago we went in the Donald D. Engen Observation Tower to watch the planes taking off and landing at nearby Dulles airport. Strollers aren’t allowed up, but they can be parked in an area near the elevator. The elevator takes a few up at a time to two different floors. The first shows an air traffic control workstation, equipment, and artifacts. The second stop is for the 360-degree observation deck and an exhibit explaining the basic features of an airport. While we absolutely love the museum, I am not personally a fan of the food offerings. The only option is a McDonald’s, so we tend to stop at a Korean bakery in Centreville on the way (Shilla and Jireh are our favorites). On our latest visit, we had lunch at the nearby Thai Basil (owned by Nongkran Daks- I reviewed her cookbook in September) before heading back home. After seeing a spaceship up close, Evan and I decided to make our own out of food. We found this beautiful spaceship on 100 Layer Cakelet and added a few things for Evan’s tastes. Evan wanted a peanut butter and jelly sandwich, but other favorite fillings like ham and cheese will also work well. We added blueberries on top and slices of apple on the sides for the wings and base. Sliced strawberries made the fire and sprinkles of granola were space rocks and debris. A wonderful thing about creating these bento boxes is customizing them to your own tastes and style. He loved adding Star Wars crackers and making the stars out of slices of cheese. I added carrots just to include some vegetables. I dipped the cut apple slices in lemon juice to help keep them from browning. They can also be soaked in salt water for about 10 minutes, then rinsed before serving. Evan ate the sandwich right after putting it together so I didn’t attach the blueberries to the sandwich. To keep them together, you can use a little peanut butter or jelly. Spread the peanut butter and jelly on the inside of each slice of bread. Put the slices together to form a sandwich. Using a sharp knife, start at the center top crust of the sandwich and slice off the crust in a curve to make the side of the spaceship. Repeat with the other side. Cut off the crust on the bottom in a straight line. 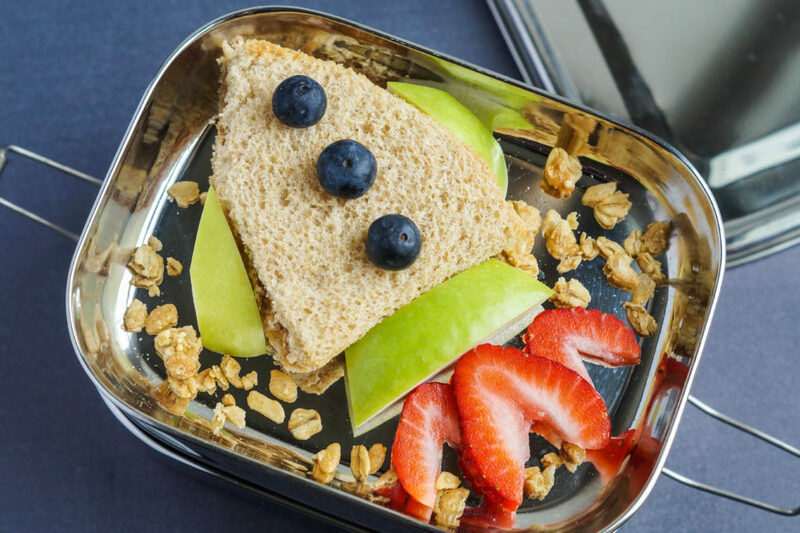 Place the sandwich on the base of a bento box or on a plate. 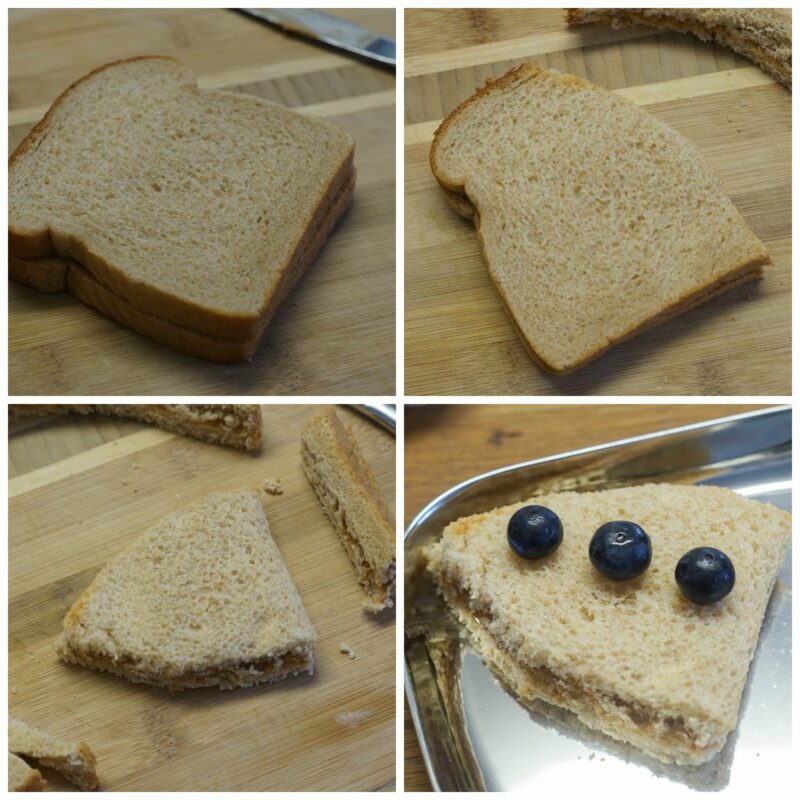 Place three blueberries in a line on top of the spaceship sandwich base. Place the rest of the blueberries in a small cup on a different level of the bento box on next to the plate. Slice of a piece of the apple about 1/2 inch thick and the length of the base of the sandwich. Trim the ends to angle outward. Dip the cut edges in lemon juice and place at the base of the sandwich. Cut out wings from more slices of apple, dip in lemon juice, and place on both sides of the sandwich. Slice any extra apple, dip in lemon juice, and serve alongside the spaceship. Deeply hull the strawberries and slice top to bottom. Arrange 3-4 below the apple base with the tips pointed toward the sandwich. Serve the rest of the strawberries alongside the spaceship. Sprinkle some granola around the edges of the sandwich. Sprinkle more granola on another level of the bento box if the spaceship level is filled. Peel the carrot and cut into thin strips. Arrange a few over the granola and serve the rest in a small cup alongside the sandwich. Cut a 2 ounce block of cheese into thin slices. Cut out stars using a small star cutter and arrange over the granola and strips of carrot. Add your favorite crackers with the extra cups of berries and other ingredients and serve. 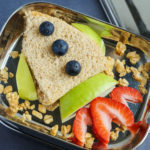 Filed Under: Pizza/Sandwiches/Wraps, Travel Tagged With: apple, bento, berry, blueberry, carrot, cheese, granola, outer space, sandwich, smithsonian, space, spaceship, Steven F. Udvar-Hazy Center, strawberry, travel, virginia, washington d.c.
That little bento box is so cute!!! I love that idea! I’m glad you had fun at the space center! Looks like you had an awesome time at the museum!! 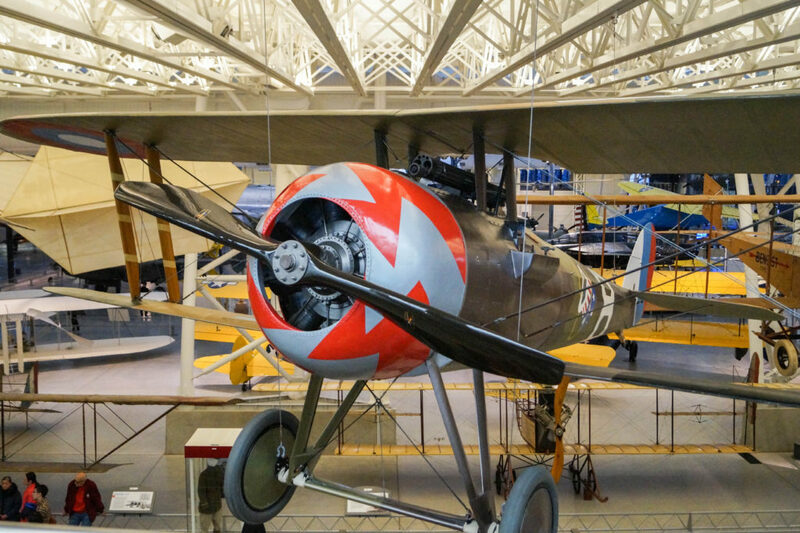 We went to an air museum near us recently and it was such a great day out!! I’m kind of a plane geek hahah!! 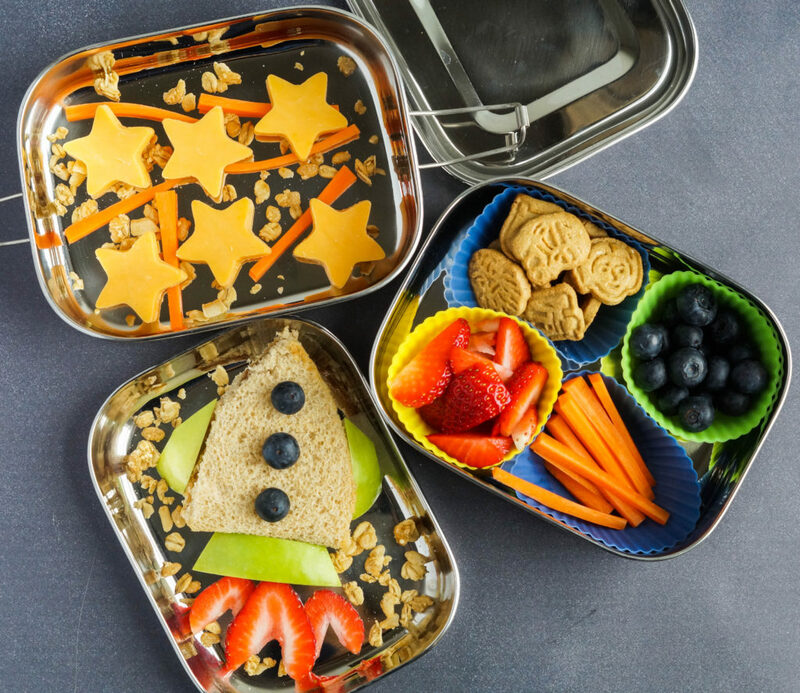 Love your bento box; so fun and creative! I really enjoyed reading about your visit. The photos of the planes are beautiful. Very cute sandwich! I’ll have to forward this to my niece so she can make it for her little ones. What an amazing experience!! I can’t believe you got to see Discovery! My son had a sleepover at an air museum a few weeks ago with his Beaver/Scout troupe and they got to sleep under the last operational Concorde. But being near Discovery is even more amazing. I LOVE the special bento boxes you made. Better than a burger any day.